Joan Elizabeth Strothers was born on 26 February 1916 in Swansea, Wales. She was educated at Swansea Girls’ High School, and in 1934 won an open scholarship to Newnham College, Cambridge. 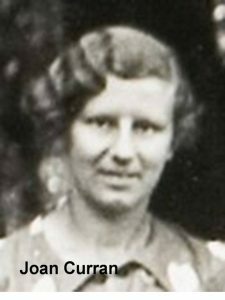 She gained an honours degree in physics, which was not awarded because it was before women were allowed Cambridge degrees. Strothers, who “had the scientific equivalent of gardening green fingers”, was awarded a government grant to study for a higher degree, and elected to go to the Cavendish Laboratory at Cambridge, where she joined Sam Curran in a team under the direction of Philip Dee. She soon established a reputation for “extreme dexterity and being outstandingly neat and skilful in the deployment of equipment.” In 1939, Dee proposed that the team spend a month at the Royal Aircraft Establishment at Farnborough Airfield. They arrived on 1 September 1939. Two days later, Britain declared war on Germany, and Britain entered the Second World War. The team moved to Exeter and Strothers and Curran joined a group under John Coles working on the development of the proximity fuse. Strothers was based at Leeson House and Durnford School. She and Curran developed a workable fuse, which was codenamed VT, an acronym of “Variable Time fuze”. 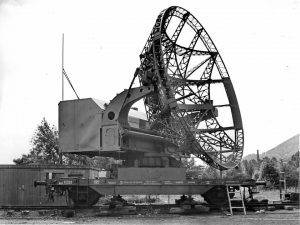 The system was a small, short-range, Doppler radar that used a clever circuit. However, Britain lacked the capacity to mass-produce the fuze, so the design was shown to the United States by the Tizard Mission in late 1940. [ The Americans perfected and mass-produced the fuse. 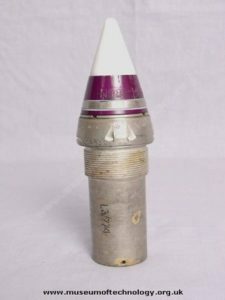 The US proximity fuse arrived just in time to be used against the V1. It was enormously successful. Originally the Allied fighter planes had been used as the first line of defence against the V1, however it soon was realized that the anti-aircraft guns, if given a free field of fire, would be very effective. They were all moved down to the south coast and this resulted in a sensational increase in kills from 24% to 79% in the 11th week of the V1 campaign. Out of 88 appearing over the English coast on the last big day of the buzz bomb offensive, 68 were down by VT fused anti-aircraft guns. Strothers married Curran on 7 November 1940. 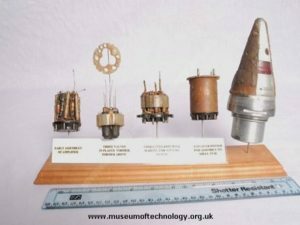 Soon afterwards they were transferred to the Telecommunications Research Establishment (TRE) near Swanage, where Sam worked on centimetric radar, while Joan joined the Counter Measures Group in an adjoining lab. It was with this group, at Swanage, and later at Malvern, that Joan devised the technique that was codenamed Window, which is also known as chaff. 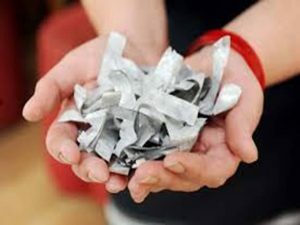 She tried various types of radar reflectors, including wires and sheets, before settling on strips of tin foil that could be scattered from bombers. 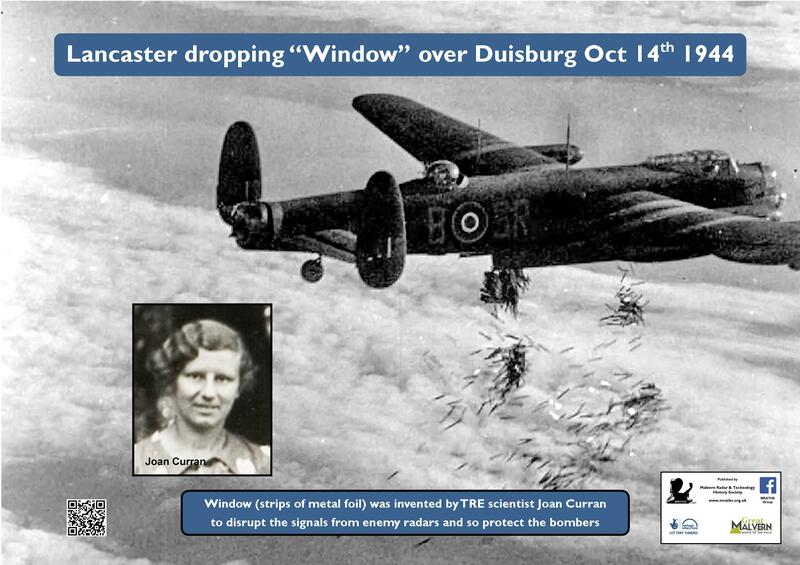 The Window strips was cut to be either half or a quarter wavelength of the frequency of the target radar and dropped over a period of time as the bombers flew in formation. One of the main targets was the Giant Wurtzburg anti-aircraft gun laying radar. Here shown at Malvern after the end of the war. 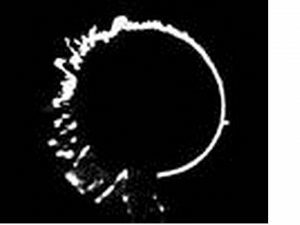 Window” (which is now known by its US name “Chaff”) caused the radar display to become very difficult read. 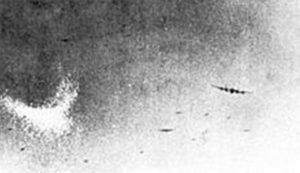 Above is the Giant Wurtzburg display showing the effects of Window, on the left hand side, the return from the target aircraft is completely obscured. 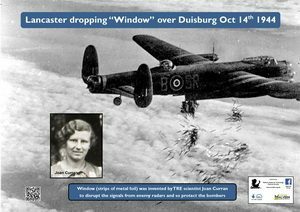 Window was first employed in Operation Gomorrah, a series of raids on Hamburg, and resulted in a much lower bomber loss rate than usual. As part of Operation Taxable on 5–6 June 1944, Window was dropped by Avro Lancasters of 617 Squadron to synthesize a phantom invasion force of ships in the Straits of Dover and keep the Germans unsure as to whether the brunt of the Allied assault would fall on Normandy or in the Pas de Calais area. R.V. Jones later declared: “In my opinion, Joan Curran made an even greater contribution to victory, in 1945, than Sam.” In 1970 Sam was knighted and Joan became Lady Curran. 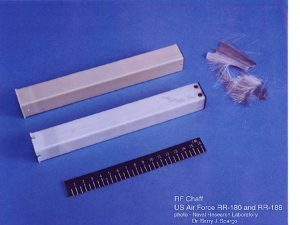 Window (Chaff) dispensers are still fitted to all modern military aircraft, they use cartridges of aluminum coated fibre glass deployed by a small explosive charge, which produces a fast blooming cloud.